* Freight and setup charges not included. This VR experience is available in Chrome and Firefox. It may not be available on mobile browsers. Our VR videos can also be viewed on YouTube. Meet the side-by-side born to hunt, with dual gun mounts and a 4,500-lb WARN winch. 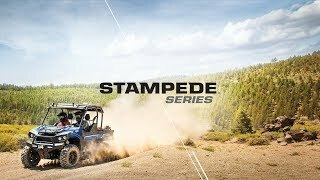 Your independence is out there and Stampede is here to help you find it. To some, "work" is a four-letter word. For a select few, it's a way of life. Overcome the impossible. Do the unthinkable. 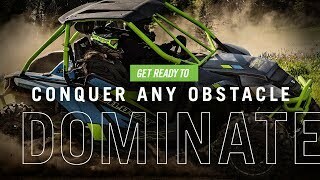 We build machines that conquer any obstacle. 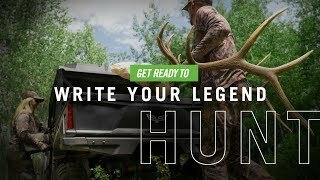 We're proud to give hunters the edge they need to bring it all home. There's no better feeling than arriving at your next adventure. 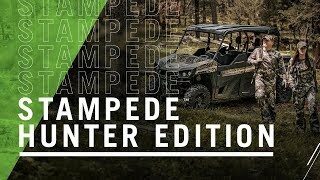 "I drove the Stampede during a Texas turkey hunt in March, and I can say I’m excited for ATV consumers to learn just what the Textron Off Road brand has done to itself. The 900-class SxS is capable and comfortable. " 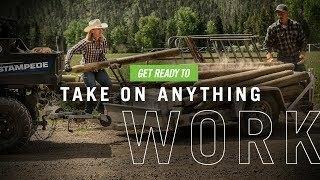 WARNING: Arctic Cat® side by sides can be hazardous to operate. For your safety, always wear a seat belt, helmet, eye protection, and protective clothing. Never operate or ride in a Arctic Cat side by side while under the influence of alcohol or drugs. Arctic Cat recommends that all operators take a safety training course. Training is available at www.ROHVA.org. Operators must be at least 16 years old with a valid driver’s license. Maxxis is a registered trademark of Cheng Shin Rubber Ind. 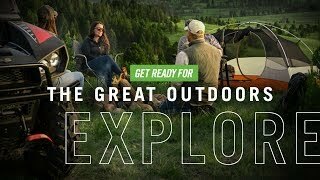 Co., Ltd. ©2019 Textron Specialized Vehicles Inc. All rights reserved.